We see it all the time: client comes in, they want to lose weight – ideally fat. In pursuit of that goal of fat loss, they’ve been watching what they eat and hitting the gym every day. Sometimes, even twice a day! But despite all that exercising, they’re just not getting the results and we can see the frustration radiating off them. “Why aren’t I getting results?” we get asked. The answer a lot of the time is stress. When you are under stress, your body produces more cortisol and more cortisol means more fat stores. But we don’t just mean emotional stress, physical stress is a significant and often overlooked trigger for cortisol production – especially in our enthusiastic exerciser example. As Chris Kresser says, “when a goal of exercise is to lose weight or improve energy, overtraining can clearly be a barrier to achieving those goals.” Extreme exercise produces an immediate increase in cortisol, and chronically high levels of cortisol can increase your risk for a range of health problems, such as sleep disturbance (which can also hinder fat loss – see our blog post on sleep and fat! ), digestive issues, depression, weight gain and memory impairment. Excess cortisol also encourages fat gain, especially around the abdomen, and we know how dangerous that abdominal fat can be. 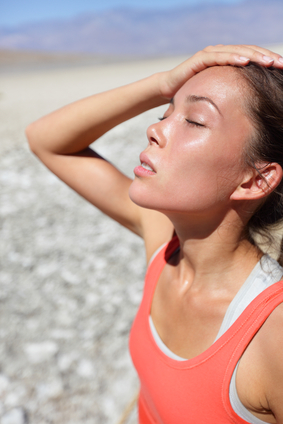 So how do you know if you are putting your body under too much stress when exercising? You can start by doing a simple exercise test. For example, you might be able to do five pull ups when you aren’t stressed. But two days later, you find you can only do three pull ups. Of course it doesn’t have to be pull ups- it can be any simple exercises, for example, a vertical leap or a chin up. That’s a big warning sign that your body hasn’t recovered and you will trigger the production of cortisol and store fat, rather than burn it. Reduce the frequency: Limit high intensity, high stress exercise to only two or three times a week. Get enough rest: It’s important to give your body time to recover and get enough sleep. If you are having trouble sleeping through the night, evaluate the intensity of your training schedule. Have a break: Take a regular, planned break from intense training. Get more variety: High intensity exercise can be great for reducing body fat and increasing lean muscle mass. But balance this with a form of exercise that helps to control your cortisol levels, such as a regular yoga practice. Be smart about your carbohydrates: Low-carb eating is a good way to decrease body fat, but if you are doing high intensity training, it’s important to strike the right balance. Choose healthy, slow burning carbs such as those found in root vegetables. Are you training hard but not seeing results? Or are you feeling rundown and exhausted? Come back for a follow up DEXA scan and we can assess the changes in your body composition and help to identify if you might be overtraining and placing your body under too much stress.